A new study on fracking from supposed health professionals is a collection of anecdotes and assertions that should be called “100 or So Lies About Fracking”. collection of allegations and anecdotes; the sort of pseudoscience we’ve come to expect from this gang. Their latest report is pompously titled as a Compendium of Scientific, Medical , and Media Findings Demonstrating Risks and Harms of Fracking (Unconventioanl Gas and Oil Extraction). It might better be called 100 or So Lies About Fracking. Sandra Steingraber (pictured doing one of her schticks), uses natural gas to heat her home in Trumansburg, NY, and was the ringleader, which was hardly a surprise. Nowhere in this report did I the reader find any evidence of evidence that came from a unbiased source study. Much of the material consists of self authored rhetoric from 30 More Days of Fracking, or New York Residents Against Fracking, which are anything but reliable sources as their aim is simply to stop natural gas development in New York or anywhere else. There is no evidence in the compendium to support this allegation, other than references to some junk science reports that have been previously debunked; no scientific backup. There is, though, considerable evidence contradicting everything Steingraber and company assert and it’s available online. Check out this set of charts comparing Bradford County, Pennsylvania air pollution levels in 2006 (pre-drilling era) and 2012. 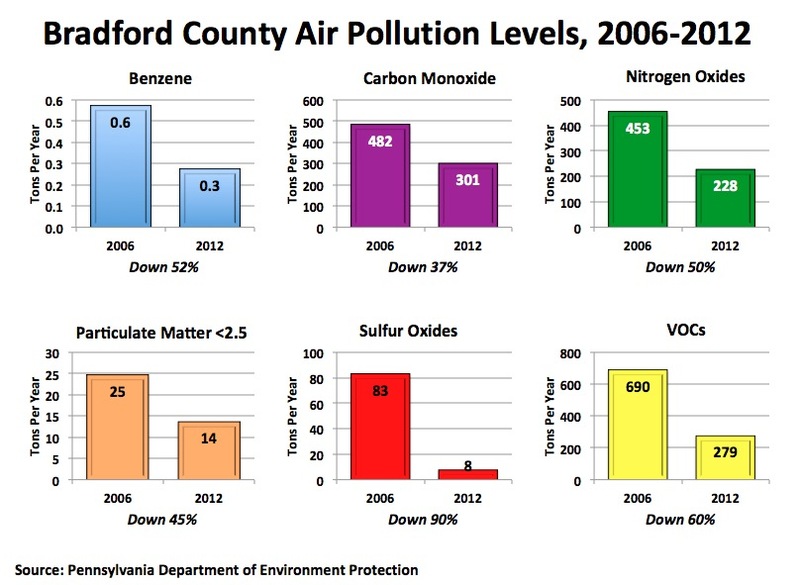 No county in Pennsylvania has more Marcellus Shale wells than Bradford. Fracking itself has never contaminated water sources or aquifers as Lisa Jackson, former head of the EPA, testified at congressional hearings in 2011. Energy Secretary Ernest Moniz has also said “I still have not seen any evidence of fracking per se contaminating groundwater.” No one denies surface contamination can occur if fluids are illegally disposed of, if their is an equipment failure, or operator negligence. Or, that methane migration issues can’t be aggravated by drilling in some instances. The report notes “Schlumberger, one of the world’s largest companies specializing in fracking, published an article in its magazine in 2003 showing that about five percent of wells leak immediately, 50 percent leak after 15 years and 60 percent leak after 30 years.” This information is true, but what is conveniently or accidently left out is that these numbers include off-shore oil and gas production which is done under water and has a higher failure rate. Additionally, the Ground Water Protection Council has also done extensive reviews of data from more than 220,000 wells in Ohio and Texas and found failure rates of only 0.03% in the former and 0.01% in the latter. The Pennsylvania Department of Environmental Protection says there have been no red flags in their monitoring of radioactive elements in waste from Marcellus Shale development. The NYS-DEC has also addressed concerns over radioactive waste cuttings from the Marcellus Shale in it’s SGEIS. See here, here and here. It’s a non-issue. OSHA regulations apply to operations on a well pad and, as I noted earlier here, oil and gas extraction, combined with the support activities connected with it, has had fewer total fatalities than agriculture or tourism. Rates of non-fatal occupational injury in the industry have averaged 1.5 per 100 full-time workers in 2012, compared to 3.5 for all industries combined. See the details here. Moreover, if we are going to compare industry dangers and death risk to workers, then let’s compare that of oil and gas to coal mining, one of the deadliest and most dangerous jobs a person may have. Should we not work off shift factory jobs that require lighting at night? And, since when is lighting from a drilling rig, that is up for maybe two weeks at most, “chronic exposure to light”? How can anyone take this hyperbole seriously? Where are the scientific studies that show this statement to be true as applied to gas drilling, which is a short-term activity? What were the measured parameters used in the study, was it nocturnal mice and rats or was there a study with human participants and by whom? Drilling has been going on in America for over 100 years and although some people may be stressed over the work and noise others are not. More importantly, once a well is completed, these variables discontinue. If any stress is put on the public, it is brought on by fractivist misinformation campaigns such as this one! 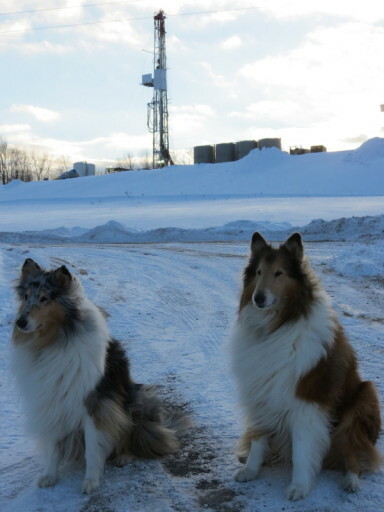 Consider, too, that many of us find gas drilling to be exciting and invigorating, although these dogs seem non-plussed. Why is it so many fractivist arguments begin with “A growing body of evidence…” but are accompanied with little or no evidence? Yes, there is some evidence of a connection between wastewater injection and small earthquakes, but wastewater injection is not being proposed in New York and gas companies operating in the region are already recycling 100% of their wastewater. Finally, geothermal energy has been inducing earthquakes since the 1960s, so why isn’t this renewable energy source getting the same attention? What relevance does this have today? We are in the age of information technology and environmental awareness were drillers are required to be permitted with comprehensive drilling plans showing depth, well pad placement, pressures, seismic anomalies, etc.. Drillers use the latest technology to check for fractures in the cement casings and mapping of the well bore. Pressure tests on completed wells are done prior to fracturing operations to identify any avenue of possible escape of the fracturing fluids before even one gallon of of the stuff is sent down a well. The pressure in a well also goes down over time, meaning it is highly unlikely to leak later if it doesn’t leak at the outset when pressure is much. much higher. I have read the report of goats being born with just a head, but I ask how does a head develop in a womb without a heart, spine or other organs needed to develop. So, I ask where is the science and why are there no links to these wild claims that demonstrate the silliness of this contention? There is no causal evidence to support any these contentions, wild or otherwise. It should also be noted most farmers are desperate to see natural gas development move forward so they can continue to farm. Referring to Anthony Ingraffea’s studies are questionable at best as he is an avid anti-drilling advocate funded by the Park Foundation not to find anything positive about drilling but to only come up with negative rebuttals to the science of drilling itself. The EPA and Department of Energy have both stated that converting to natural gas from coal will in fact slow down climate change, buying us more time to develop renewables and get off fossil fuels eventually. Putting Americans to work in any state is the necessity of a nation starving for work. Making statements about the jobs all going to out-of-towners is false. The vast majority of oil and gas industry workers in Pennsylvania are local hires and they’re making excellent money. Deborah Rogers, Arthur Berman and Chip Northrup have all tried to make this claim, but the evidence is against them. 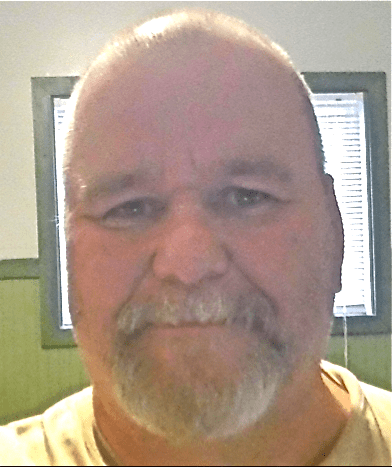 See this recent piece from my fellow guest blogger, Nick Grealy. Never have I read a more biased statement against drilling as this one presented by Sandra Stiengraber and the Concerned Health Professionals of NY! I see no link to blood, urine, mucus, human or animal cell studies. I see no independent lab test results. What is highly present in this paper is references to press stories and unsubstantiated claims brought forth by paid activists from New York agitating people in drilling communities to bring frivolous law suits against drilling companies simply with the promise of a big payout. Have there been problems? Yes, of course, but the problems found in natural gas drilling are also found in wind power, solar energy and geothermal (which often uses the same fracking technology as natural gas). 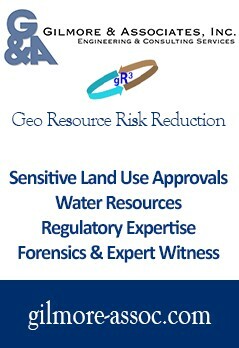 It is the responsibility of the New York State DEC to ensure environmental protection and they do it well. Since the 1960s, DEC has helped clean up dead lakes in the Adirondacks caused by coal-burning acid rains and mercury contamination, and the Susquehanna River where, as a child, I remember local factories in Broome County dumping hazardous waste directly into the river. More tomorrow! Watch for Part II. So Victor, who are we to believe? 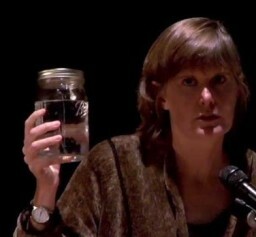 A shale gas activist landowner profiting from fracking or health professionals, scientists and medical organizations. Humm … let me think … you know what, I think I’ll believe the latter. I can’t wait for your part II. So, you’d prefer to take the word of an anti-shale gas activist who lives in a house heated with tracked gas and is paid by Heinz and Park, et al to push their message? Pitiful. Ha !!! I see why Clifford Goudy is against fossil fuels. He’s afraid his funding will run out because of our discoveries of NG and how it is being used to generate power. I didn’t say “anti-shale gas activist.” I said, “health professionals, scientists and medical organizations.” Please don’t put words in my mouth. Vic is not profiting any more than the rest of us who own land. Thanks to the dithering of Cuomo there are no wells being drilled, no royalty money coming in, no ad velorem tax revenues for schools and towns.. So tell me how we are profiting? The facts speak for themselves. I did not make any of my observations out of spite but spent about 15 hours reading the compendium and checking many of the references. I live in NY were good Ideas are gone through by the one percent’s who determine policy and by the time they decide drilling is ok they would have bought a few million more acres of foreclosed farms. You go ahead and comprehend this breakdown as you see fit your mind is set and closed. Whether or not I profit from gas drilling has left my mindset years ago. I fight the fight for the simple fact that I am an American Vet who sees beyond the gas issue into a issue far more important. That which I fear most is the fake fear mongering environmentalist using their fear tactics to further their socialistic agenda and imposing their ideologies onto an unsuspecting public that will not realize the agenda until to late. I believe it was Abraham Lincoln who said America can only be destroyed from within. We are at the door of energy independence which in itself has more value to Americans to be a secure and safe place to live. Land rights of Americans have never been so threatened by socialist as they are today. After Natural Gas these socialist will go after logging and quarries. They would stop hunting and outlaw anything that creates jobs because these people who are fake environmentalist are controlled by the one percent who want to create two classes of Americans, Themselves and poor. No Victor, your post is purely a combination of personal slander and half truths. I respect your interest in making America a better place but I fear you are missing two important points – 1) quality of life depends on the quality of the environment, and 2) the threat of global warming and the role fossil fuels are playing in that process are real. Wrap your mind around those two facts and you might begin to understand how misleading your posts are. I don’t think Vic’s posts are misleading in any way and I don’t see any half-truths in them. Let’s talk facts. Point out where you think he’s wrong. Vic Furman is dealing in facts, not the unsupported fearmongering propaganda of the anti-driller. Southern Tier landowners are sick and tired of Constitutional property rights infringement- rest assured none of us are making any money. we have been victimized by activists, celebrities, and Albany politicians like Silver and Cuomo, who turned a straightforward regulatory issue into a political firestorm, complete with the highest level NY courts ignoring existing law to legislate from the bench. is HVHF 100% safe? no, nothing is. is burning fossil fuels ideal? no, but there are currently ZERO affordable scalable alternatives- least of which would be absurd schemes to harness wave power on a macro scale. natural gas is so important worldwide it’s Putin’s leverage over Europe and Ukraine. beating up on four little counties in NY is not going to change climate trajectory. here’s an idea: since Andrew “I am the State” Cuomo fancies himself such a Climate Messiah, why doesn’t he start rationing or banning the use of fossil fuels right now prior to the election and see where that gets him… unelected, that’s where. Democrats are just NIMBYs. Poor Cliff would lie if he had to tell the truth to do it. He contradicts himself in every post.